After nearly four hours of public testimony earlier this week, the Senate State Affairs Committee recommended a bill to the full Senate Thursday that would end the state's practice of collecting public employee membership dues for certain labor unions and other organizations through automatic payroll deductions. 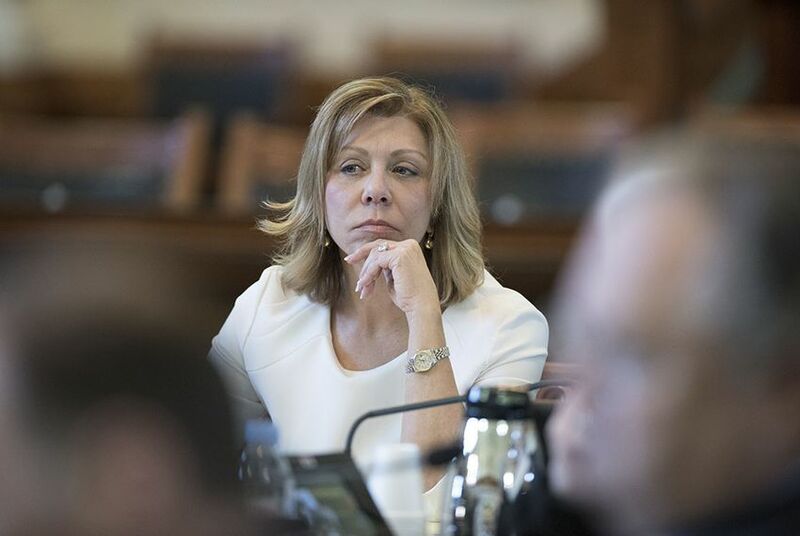 Senate Bill 13 by Sen. Joan Huffman, R-Houston, would apply to state and government employees such as teachers, corrections officers and child protective service workers, while exempting police officers, firefighters and emergency first responders as well as charitable organizations. The exemptions, Huffman said, were due to those groups serving communities with "great honor and distinction." The battle lines over SB 13 came into focus during Monday's hearing, with more than 50 people testifying on the bill. Detractors argued the legislation was discriminatory and aimed to pick winners and losers among the state's public-sector unions, while supporters said the bill was needed to end the state's involvement in collecting union dues. Most of the opposition came from public school teachers with the Association of Texas Professional Educators, the largest teacher association in the state. “[SB 13] is about shutting up teachers and keeping them out of the political arena,” said ATPE Executive Director Gary Godsey, adding that if the bill's true aim was ending automatic payment deductions, it would apply to all state employee unions. Texas is a right-to-work state, which means employees aren't required to pay dues or join labor unions and other organizations. Employees must opt in to have union dues deducted from their paychecks. Godsey said SB 13, which was voted out of committee along party lines Thursday, would have a "chilling effect" on membership for teacher associations and other unions that heavily rely on payroll deductions. Other groups testified in support of the bill, including the Texas chapter of the National Federation of Independent Business. Huffman filed a similar bill last session, but the legislation eventually died in the House State Affairs Committee. This time around, the bill is moving more quickly after Gov. Greg Abbott and Lt. Gov. Dan Patrick declared it a legislative priority. SB 13's next stop is the full Senate floor. According to the Texas Municipal League, the bill would carry no fiscal impact on cities or the state. Disclosure: the Association of Texas Professional Educators, the Texas Association of Business and the Texas Municipal League have been financial supporters of The Texas Tribune. A complete list of Tribune donors and sponsors is available here.